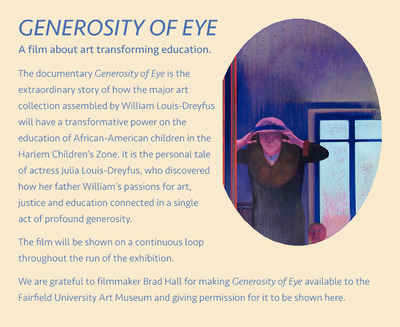 Wall panel for the showing of Generosity of Eye during the run of Timeless Monumentality: Paintings from The William Louis-Dreyfus Foundation. 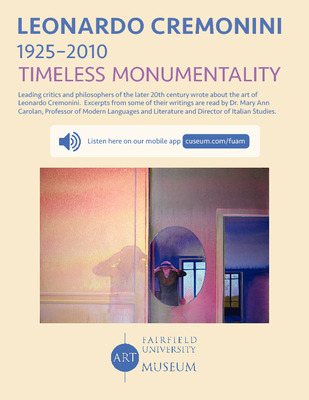 Bookmark from the exhibition Timeless Monumentality: Paintings from The William Louis-Dreyfus Foundation. 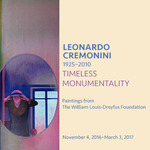 Brochure for the exhibition Leonardo Cremonini (1925-2010): Timeless Monumentality—Paintings from the William Louis-Dreyfus Foundation. 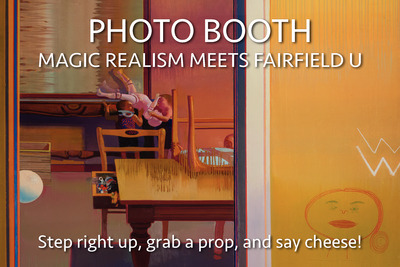 Banner hung in the foyer of the Walsh Gallery for the exhibition Timeless Monumentality: Paintings from The William Louis-Dreyfus Foundation. 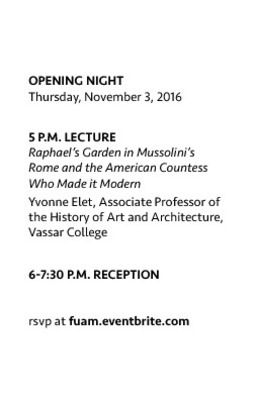 Introductory panel for the exhibition Timeless Monumentality: Paintings from The William Louis-Dreyfus Foundation. 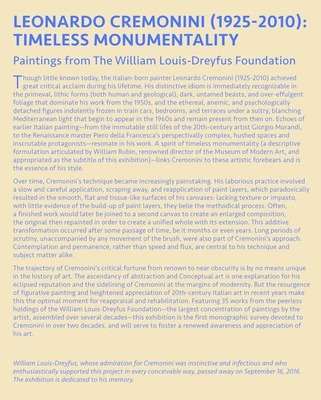 Invitation postcard for the exhibition Timeless Monumentality: Paintings from The William Louis-Dreyfus Foundation. 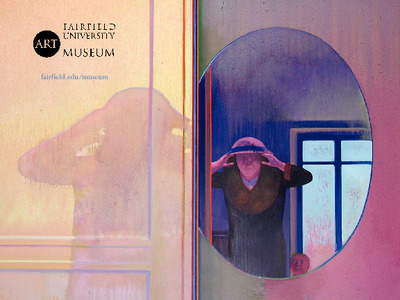 Insert printed on vellum to be inserted in the invitation for the exhibition Timeless Monumentality: Paintings from The William Louis-Dreyfus Foundation. Poster for the photo booth at the opening reception for Timeless Monumentality: Paintings from The William Louis-Dreyfus Foundation. 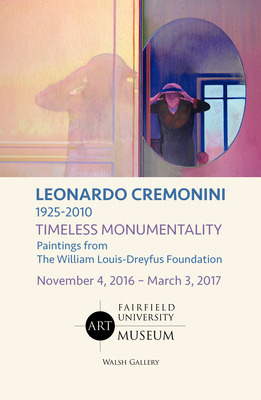 Poster for the exhibition Leonardo Cremonini (1925-2010): Timeless Monumentality—Paintings from the William Louis-Dreyfus Foundation. 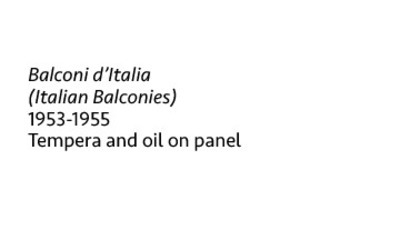 Wall labels for artwork in the exhibition Timeless Monumentality: Paintings from The William Louis-Dreyfus Foundation.